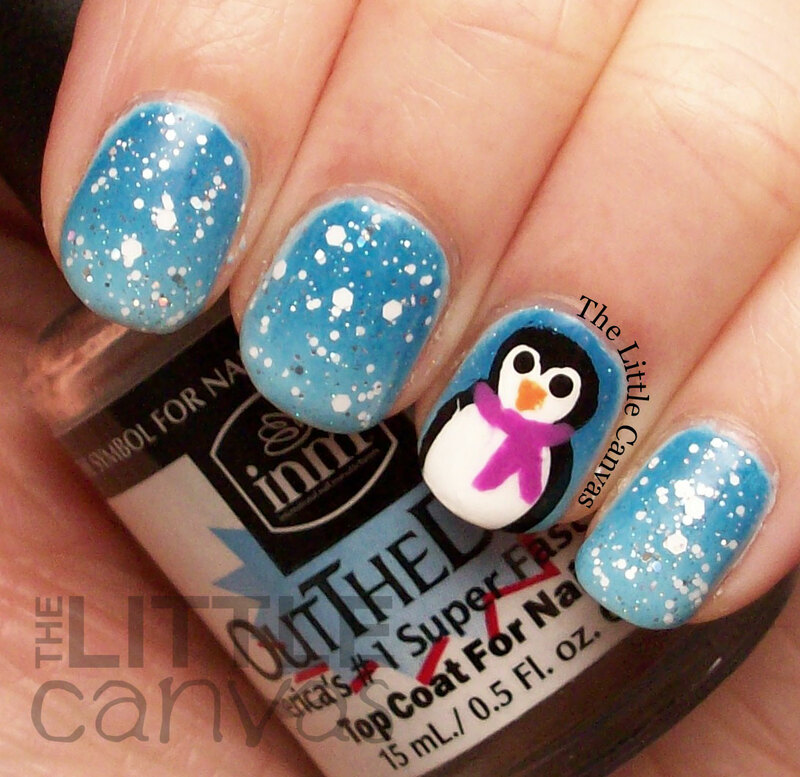 The First Snowy Manicure of the Season - Penguin Nails! Good morning! How are you all doing today? I hope that everyone who is being hit by Snowvember in Western New York are all safe and sound! So crazy everything that is happening in New York right now! Could you imagine getting 70+ inches of snow in 24 hours? And then on top of it, the town 10 minutes down the road from you only has about 1 foot?! Just so crazy how lake effect snow works! Well this whole weather event is making our weather quite chilly, cold, and a little bit snowy. I figured it would be appropriate to do a cute winter themed manicure to match the weather! 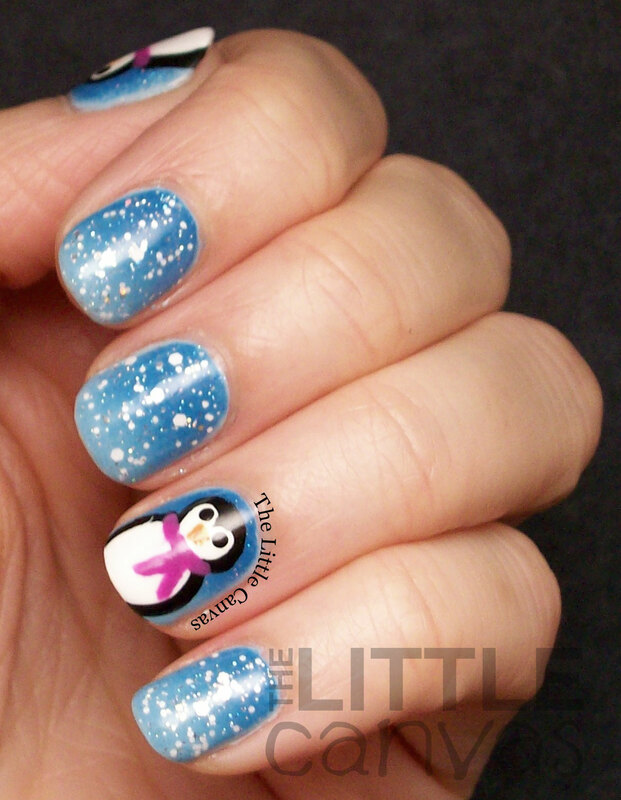 What better than a penguin manicure?! I love this manicure so much! To get the look, I started off with a base coat of a light blue polish. When that was dry, I sponged Zoya Ling around the cuticle to make it look like a wintery snowy sky. I added a quick coat of INM Northern Lights to even out the gradient and make the nails really sparkle. On my snowy nails, I added a coat of FingerPaints Sparkle With Me. This polish is a part of the FingerPaints Holiday Glitz Kit. This kit contains this glitter, along with a multicolor glitter, and a silver foil polish. Sparkle With Me is just a gorgeous matte white glitter polish which has holo flecks throughout. It reminds me of that fresh sparkly snow you wake up to on a freezing morning. The polish has a perfect base to glitter ratio, which means I didn't have to place any of the glitters! They all fell into place perfectly! 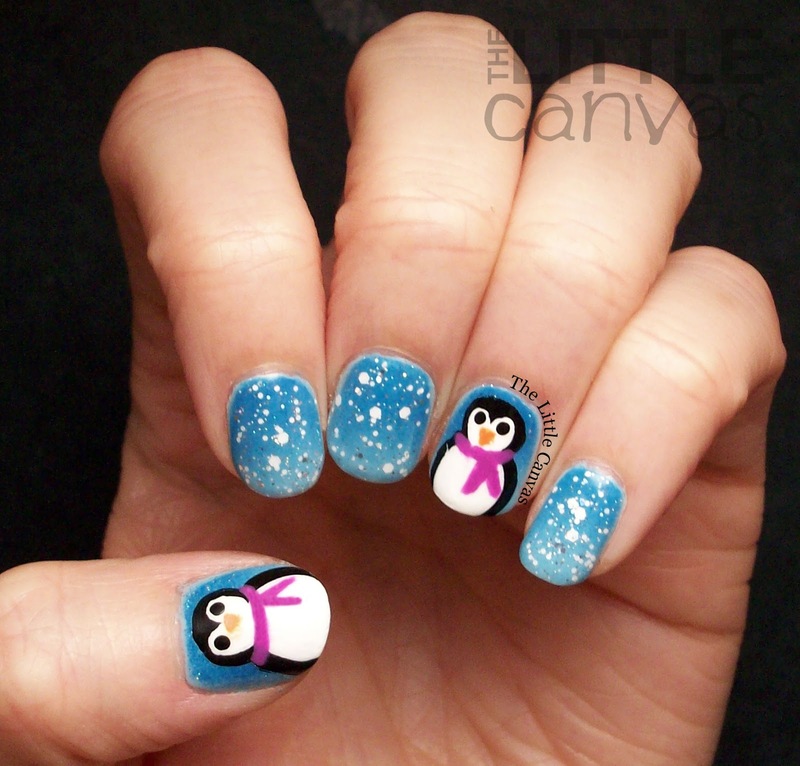 For my penguins, I used my nail art brush and acrylic paints. I may have to make a tutorial for them because they're so dang cute. I'm going to do them again when Christmas is closer and maybe add a Santa hat on them. What do you think? 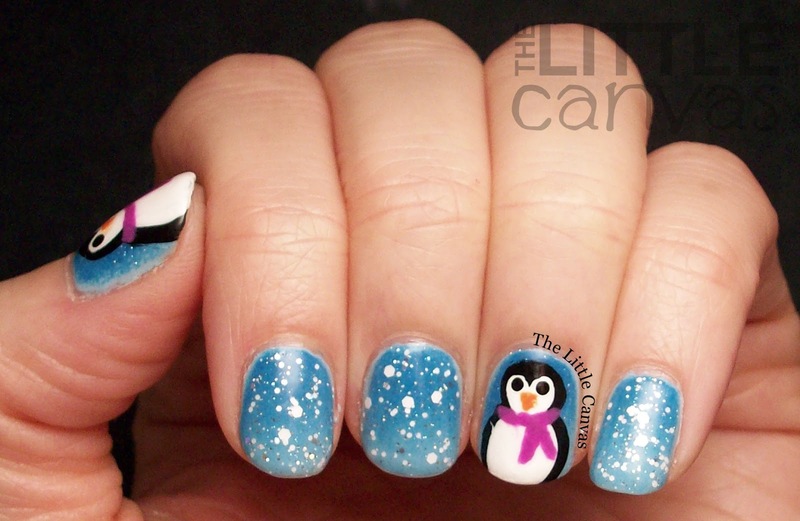 Liking the snowy manicure? Think it's too soon? The Holiday Glitz Manicure Kit is available now at Sally Beauty! Rumor has it that they are on sale, so I highly suggest running out and grabbing them while you can!